Chicken Fat: Yikes! Is it Skyps? We just talked with and looked at Baby Benjamin, Sabrina, and Rocky with Facetime on our ipads for the first time. I think Facetime is something like Skype. It was an enjoyable experience and also amusing. What was amusing was we could see them on most of the full screen, but in the top left corner we could see us, as I suppose like how they see us. Being in the top left corner our live images were on top of a cabinet or something. It looked strange, like two uninvited and unseen guests hiding in the corner behind a cabinet. 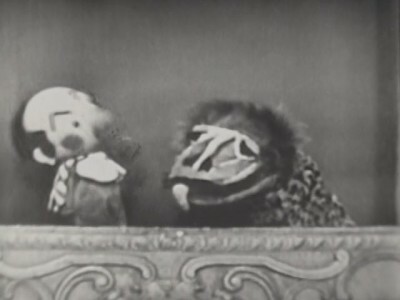 Or maybe two hand puppets with the puppeteer hiding behind the cabinet.